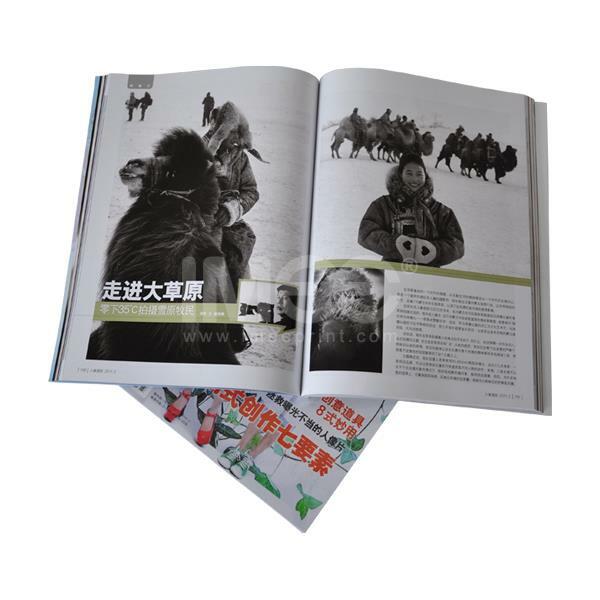 Magazine printing size: the most common business for the 16 open (210 × 285mm), other sizes can also choose 8 open (285 × 420mm), 12 open (285 × 290mm). If you require more high-end, you can also ask a professional printer company for special customization. A: pictures to maintain high-definition, do not arbitrarily stretch zoom, to avoid blurring in the printing. Second: magazine layout design font size generally do not exceed 9 pounds. Three: layout should pay attention to the English font and the coordination of Chinese fonts, Magazines Printing so as to avoid the situation is too large. Four: the use of CoreIDRAW and other software design works, the text must be curved or frame, to prevent the lack of fonts. The magazine is indispensable in our lives, although the Internet is now rampant, but why is the magazine still popular with the general public? Probably because the magazine printing in the typesetting, Magazines Printing photo selection or content selection, not on the Internet can be comparable to a simple electronic magazine. Magazine types of various types of fashion class by the young ladies like, men are biased to the computer or military magazines, older students tend to bias the family class. Master some simple magazine printing common sense, you can help you better select the magazine, making the selection of magazines more value for money. First of all, the magazine's primary job is to pick paper, Magazines Printing young fashioners like to see the fashion magazines, most of the use of coated paper and matte paper printing, the general type of paper for color printing. There are generally used for stationery, newspaper printing of offset paper, newsprint. Second, the magazine is photography, design, production, layout and other processes, which is the printing process is a very important step, because the selection of photography, the performance of the magazine's aesthetic level, highlight the magazine's theme, Is a direct decision whether to attract customers, Magazines Printing the other is the choice of color, the general printed matter by the yellow, magenta, blue, black four-color imprint. Finally, the magazine print cover processing, a good magazine, including a lot of details, to do a magazine, the details of the place will have to pay attention to the cover to choose a visual impact of the picture, the text content needs to choose attractive, so only Is a complete magazine, Magazines Printing in the latter will be on the gold foil, or convex and other processes, help to improve the quality of printed materials.